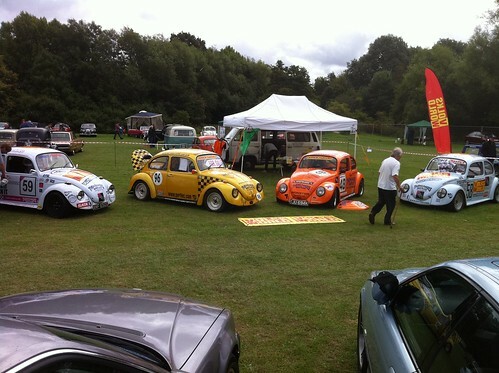 The 2009 Season was a challenge – not just a Beetle Challenge! The Bandit wasn’t the only driver to win a surprise award in the 2009 season.. Craig ‘Grandpa’ Winfield was also awarded a prize Torque Wrench for ‘The Best Prepared Car’. 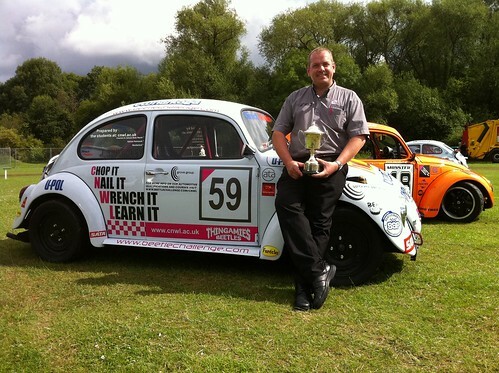 A special thanks goes to Perftec.com who sponsored the awards for the Beetle Challenge, and of course debuted his Race Car No.96 at the final round at Brands Hatch in November, and not forgetting Tony Sharpe who debuted also in the 2009 Season. 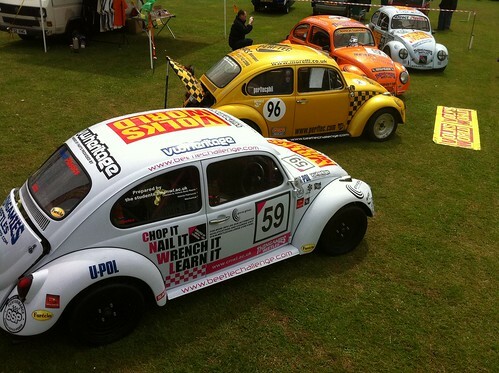 Thanks also go to Thingamies Beetles and Motorsports (thingamies.com) for their ongoing support of the series, both in race car preparation and series support. Here’s to the 2010 season.. which is set to be spectacular as we have double figures of cars on the grid now… and in May the Mallory Park race will be live televised on Motors TV! 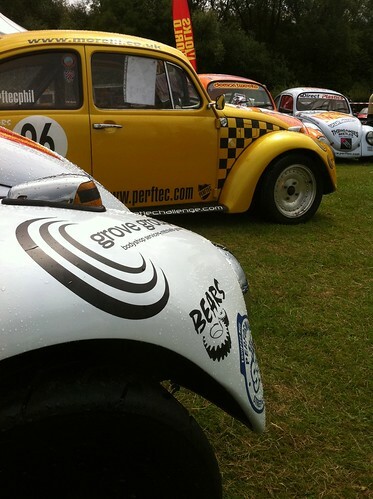 So 2008 saw the return of Aircooled Volkswagen Beetles to competition circuit racing in an Official MSA sanctioned championship for the first time in over 15 years! 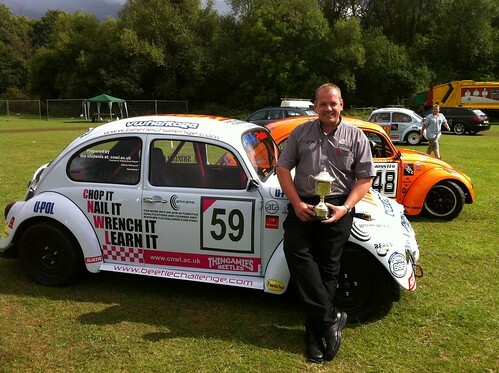 2007 was an exciting year, where Ex-Beetle Cup Racer Craig Winfield, decided that there was enough ‘talk’ of racing and no substance to back it up, let alone the opportunity to hit a track in anger. 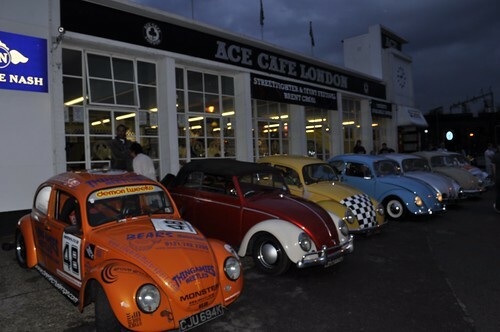 After exploring every possible avenue, it was decided that the best way to go racing would be to join an existing championship as a ‘Class’ whilst we build the number of Beetle racers. After several negotiations with various Championships, and the usual few false starts, we were embraced by the BARC and enthusiastically welcomed to join the TinTop Series. 2008 started with a flourish of activity and car building..
What a scream! The weekend was one drama after another, which all blurred into an adrenaline fueled blur of high-speed thrills and spills… and a few new friendships were forged (This is what it is all about). The paddock had a more laid back ‘rally’ feel to it, where everybody helped each other with the shared purpose of getting as many cars out on the track to race against. 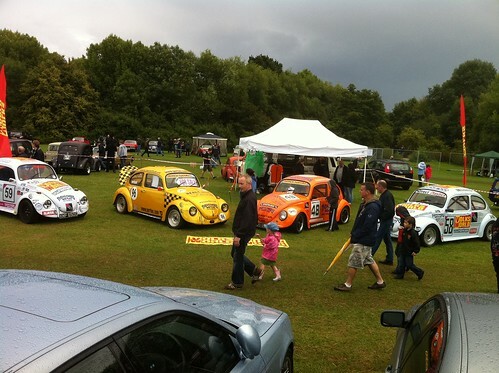 The racing was clean, fair and fun and we got an encouraging cheer from the other competitors when Rod Birley the Race organiser welcomed the first of the bugs to the race series! 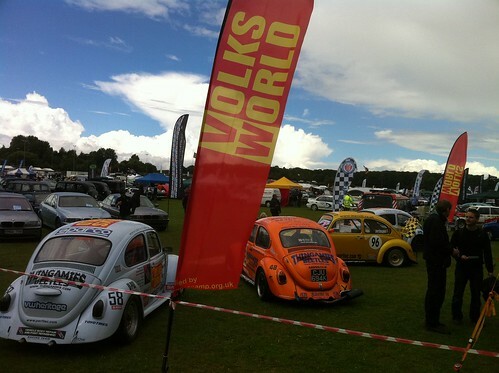 Brilliant we had done it.. got bugs on the track in a championship after so long… and it was a blast! A few weeks later and it was our second outing, this time at Brands Hatch… this saw Trigger enter in his aptly named ‘Nasty’ bug.. even with a f**ked box he went on to win both races in the class on his debut! 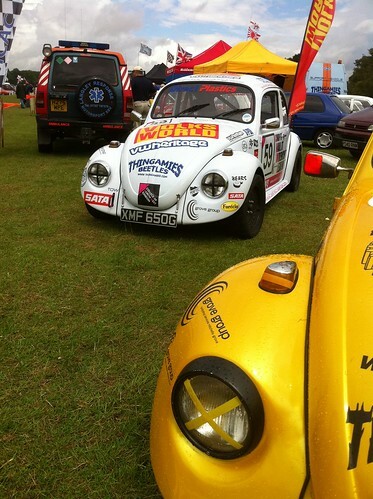 Davids Rally bug performed some crowd pleasing off-road antics mid race! and we met quite a few VZi forum members and we joined by a few of the other people who were building cars for the ‘09 season (They were hastily taking secret notes, until they realised that we were cool about sharing all our ‘brief’ learnings to date. The days racing was superb, and left you buzzing for best part of two weeks after the event! (You keep getting snapshots of things that happened during the races!) But for me the best thing about the day was that there were two spectators, who popped along to see what it was all about… and by Monday evening we had two new car builds in progress! All eyes are on Trigger for next season as he dominated the 2 races at Brands on his debut. 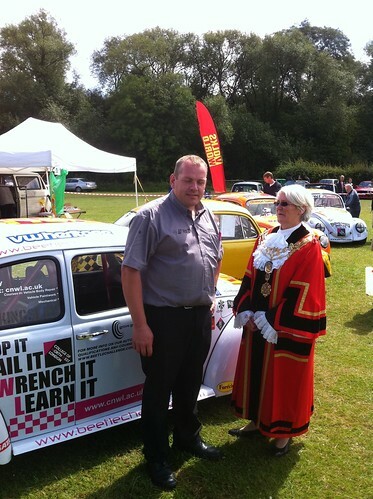 A massive thanks to Craig for persevering and making the circuit racing a reality. Huge thanks to James from OpenTAG for support developing the website and for taking all the action shots. Phil from Perftec for his paddock support and catering! The Thingamies Motorsport crew (who brought some very useful rally boyz to crew and help out with all the pre-during-post logistics and prep! And of course to the BARC TinTops for embracing us into their Championship. 2009 - It’s here and we hope to have around 10 cars on the grid before the end of the season this year.. April should see 6+ bugs and the others during the summer/autumn races. This will give us the biggest ‘Class’ in the TinTops! 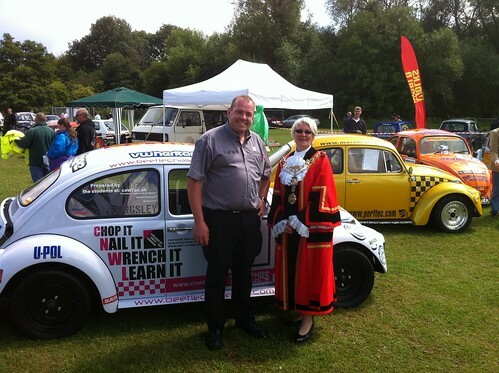 There is also the possibility of a Beetle Only Grid at an exhibition race in the summer with the Classic Touring Car Club, the first beetle only grid in the UK for well over a decade! So we will keep you posted. So good luck everybody for 2009 - if you need any help sourcing parts, getting started, or just list of entirely plausible justifications to give your partner as to why you ‘have to go racing’ you know how to contact us!